PennsylvAsia: 2016 Japanese movie Harmonium (淵に立つ at Carnegie Library in Oakland, January 7. 2016 Japanese movie Harmonium (淵に立つ at Carnegie Library in Oakland, January 7. 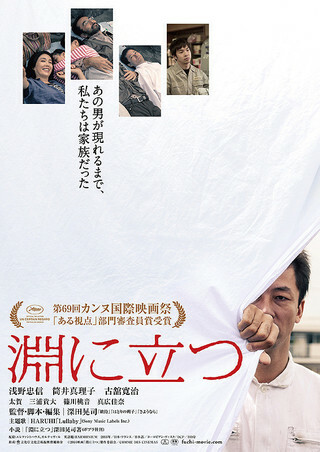 Even before the arrival of the mysterious Mr. Yasaka (Tadanobu Asano), the marriage of Toshio (Kanji Furutachi), the owner of a small machine shop, and his self-effacing wife, Akie (Mariko Tsutsui), appears passionless. Polite but distant, they share meals and the care of their small daughter, Hotaru, with so little intimacy that when Toshio offers Yasaka a room and a job, he doesn’t even ask his wife’s opinion. All too soon, though, he’ll have cause to regret his impulsiveness. The movie plays from 2:00 to 4:30 pm at the Carnegie Library of Pittsburgh's main branch in Oakland and is free and open to the public. The library is located at 4400 Forbes Ave. in Oakland (map) and is accessible by buses 28X, 54, 61A, 61B, 61C, 61D, 67, 69, 71A, 71B, 71C, 71D, and 93.